But when she encounters Jared Calmburry, who she later discovers is an orphan with his own tragic history, the equilibrium she was striving for is thrown off. Instantly drawn to this mysterious stranger with the incredible blue eyes, and confounded by the unusual events that occur whenever they meet, Evelyn resolves to investigate further. What she finds will startle her beyond measure: an ancient legacy of magic, a centuries-old secret society, and a foreboding legend with her and Jared at its center. As she follows a cryptic trail, Evelyn will discover clues to her own painful past, answers she hadn�t even been looking for-and a passionate love she cannot resist despite the dangers it brings. About Sarah Kleck (Author) : Sarah Kleck is a published author. 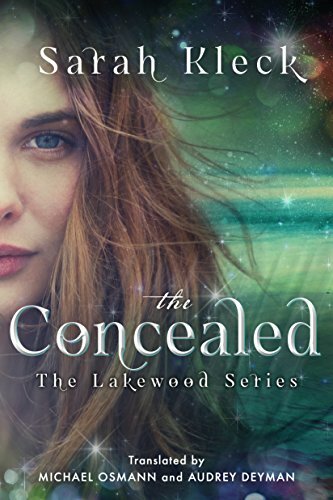 A published credit of Sarah Kleck is The Concealed (The Lakewood Series Book 1). About Audrey Deyman (Translator) : Audrey Deyman is a published translator. 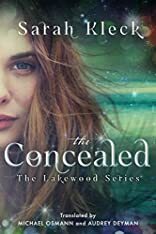 A published credit of Audrey Deyman is The Concealed (The Lakewood Series Book 1). About Michael Osmann (Translator) : Michael Osmann is a published translator. A published credit of Michael Osmann is The Concealed (The Lakewood Series Book 1). 12/13/2018 Matthew Lambert said: The story looks so interesting, reading this book may b fun full . Some stories we watch inform of movies which become some times more good visualization. saleonleather online store have huge collection of movie jackets & coats.